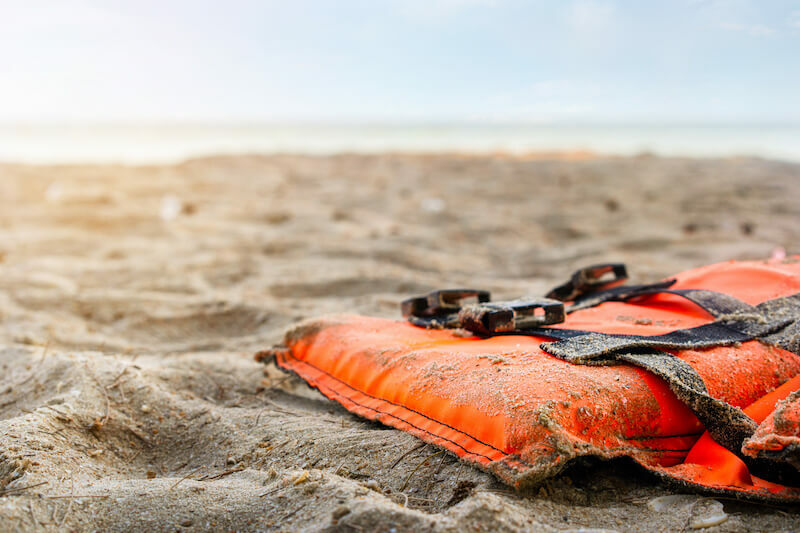 Boating-Maritime Accident Attorneys | Juan Hernandez Law P.C. Whether you are deep-sea fishing or simply enjoying a lazy afternoon on the lake, the state of Texas offers something for every boat and watercraft enthusiast. Unfortunately, there are dangers to boating – in 2008 alone, the Texas Parks and Wildlife Department reported 271 boating accidents in Texas. These accidents led to numerous injuries and over 60 fatalities. If you or a loved one is injured while on a vessel or personal watercraft, you may be able to file a claim against the negligent party. Boating accidents can be serious, and you may require extensive rehabilitation and long-term care in order to recover from your injuries. The experienced personal injury attorneys at Juan Hernandez Law will help you recover the compensation you need to get your life back on track after a devastating boat, ship, or personal watercraft accident. While a boating accident can occur at any time, the majority of these accidents are the result of driver error or boating under the influence of alcohol or drugs. In fact, 85% of all fatalities on boats and ships occur simply because the operators were inexperienced and had not completed a boating safety education course. Negligent vessel operators may drive recklessly, operate at unsafe speeds, or lack the experience to navigate during poor weather conditions. When alcohol or drugs are thrown into the mix, the results can be deadly. If you’re injured aboard a seafaring vessel, you deserve to receive full compensation for your injuries and other damages. However, it may be difficult to do so if the vessel’s owner or charterer claims protection under the Shipowner’s Limitation of Liability Act (46 U.S.C. § 30501 et seq.). This provision limits the vessel owner’s liability to the amount that the vessel is worth post-accident. In other words, if the vessel is found to be worth $50,000 after the accident, the shipowner cannot owe more than $50,000 in damages. For shipowners to claim this protection, their vessel must have been in US waters at the time of the accident. Furthermore, the vessel owner or charterer must prove that they had no way of knowing that the circumstances that caused the accident would occur. In other words, if an unsafe condition onboard was caused by a negligent action, the vessel owner would be protected under the Limitation of Liability Act only if they can prove that they had no knowledge or privity of the condition. However, the Shipowner’s Limitation of Liability Act does not define the full limit for injuries and deaths aboard certain seafaring vessels. 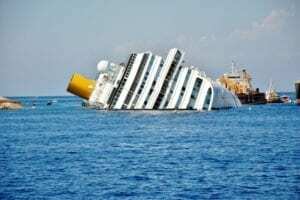 If the post-wreck value of the vessel is not sufficient to cover the costs of all personal injuries and wrongful deaths aboard the vessel, the calculation is modified to $420 times the tonnage of a vessel. For example, if the ship has a gross tonnage of 30,000, the limitation of liability would increase to $12.6 million. The same laws and regulations apply if you’re hurt while aboard a cruise ship. However, it’s important to note that cruise lines almost always require that you file a claim in Miami, as this is where most of their headquarters are located. This requirement will stand even if you never stepped foot in Miami or anywhere else in Florida before, during, or after the cruise. Read the cruise line’s policies before you file a claim in any state other than Florida. Federal Statute 46 USC section 883 – better known as The Jones Act – made it easier for seamen to gain compensation for their work injuries. This statute allowed workers aboard vessels to be covered under the Federal Employers Liability Act (FELA), which previously applied only to railroad workers. 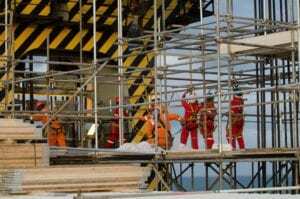 Under the Jones Act, the employer of workers on a vessel can be held liable for injuries arising due to negligence. The employer may be held at fault for injuries caused entirely or partially by the negligence of themselves, officers, agents, or other employees. This may include faulty equipment or unsafe conditions on board the ship or boat. Even if the crew member is between shifts (but still aboard the vessel) when they get injured, the employer may still be found liable. Employees engaged in a joint venture. If the crew member stands to gain from the venture (rather than being paid a set amount as a crew member), the master of the vessel will not be responsible for their injuries. Volunteer yacht crew members. If a crew member on a yacht is a volunteer and unpaid, the Jones Act does not apply. The act does apply, however, to paid crew members aboard a pleasure yacht. These damages may apply to personal injury cases, wrongful death cases, or survival actions relating to crew members aboard vessels. It’s important to note that the Shipowner’s Limitation of Liability Act, the Jones Act, and certain other provisions set forth by US maritime laws only apply if you are more than 12 miles away from a United States coast. Within those 12 nautical miles, Texas civil and criminal laws will apply instead. Exceptions to most of these rules exist if you are attempting to rescue a downed, fallen, or drowning person. If you or a loved one is injured on/by a vessel or personal watercraft, contact the personal injury lawyers at Juan Hernandez Law, P.C. Juan Hernandez is board certified in personal injury law by the State Bar of Texas – a certification that 98% of attorneys in Texas have neglected to receive. He has experience litigating a wide variety of personal injury cases, including boating accidents. Contact us today to schedule a free, no-obligation consultation with Juan Hernandez and the rest of our team in Dallas, Amarillo, and Abilene.